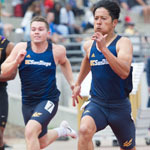 UC San Diego returns to action as it hosts the California Collegiate Open at Triton Track and Field Stadium on Saturday, March 30. 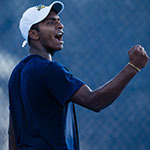 Throwing events begin at 10 a..m., while jumping and track events begin at 11 a.m.
UC San Diego concludes its season-long nine-match homestand hosting seventh-ranked Division II West Region foe Hawai’i Hilo on Saturday, March 30, at noon at Northview Tennis Courts. Admission and parking are free. UC San Diego will play Chico State, one of the hottest teams in the CCAA, this week. The Wildcats have won 10 of their last 11. 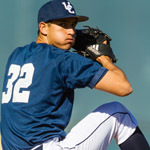 The Tritons (17-4, 12-4 CCAA) have won 10 in a row. The doubleheader begins at 1 p.m., Saturday from Triton Ballpark. 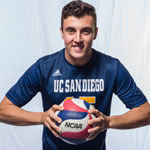 The UC San Diego men’s volleyball team welcomes top-ranked and undefeated Hawai’i to RIMAC Arena at 7 p.m., Saturday, March 30. Parking permits are NOT required on the weekend.